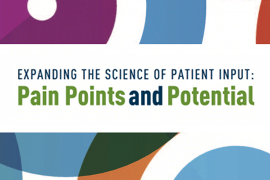 To explore current and future challenges of patient engagement, FasterCures hosted an all-day workshop on Feb. 17, 2016, as part of its Patient Count: The Science of Patient Input program. More than 50 representatives from patient advocacy organizations and other nonprofits, biopharmaceutical and medical device companies, academia and government agencies participated. 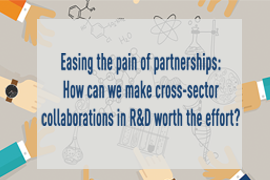 Easing the pain of partnerships: How can we make cross-sector collaborations in R&D worth the effort? Everyone knows that to get a discovery from bench to bedside, no one can go it alone. In today’s biomedical R&D, all stakeholders have to work with other sectors to achieve their goals. How can you deal with the pressure to have a single collaboration serve many masters? How do you get to a win-win across stakeholders? How can you minimize the pain of collaboration? 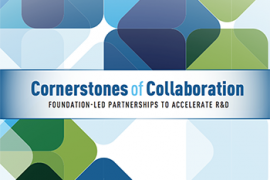 In April 2017, FasterCures convened a select group of foundation leaders and other stakeholders to take the conversation about the partnerships that venture philanthropies are leading to a new level of specificity. We examined different types of relationships and agreement structures, how the agreements originate and what’s necessary to sustain them, and how partners are addressing legal and cultural challenges that can divide them.